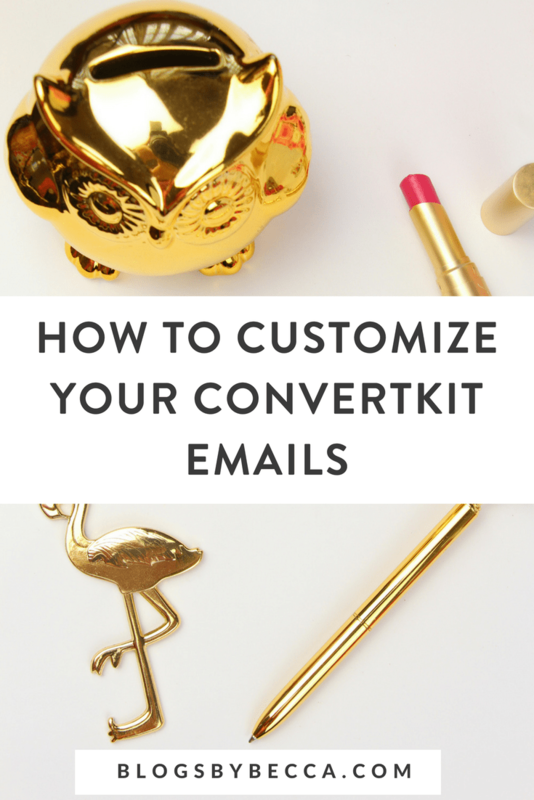 ConvertKit doesn't have a drag and drop builder like some other services, but you can still customize your ConvertKit emails. You can create a custom template using CSS. CSS can be used to add borders, buttons, headers, colors, fonts, and other branding goodness. 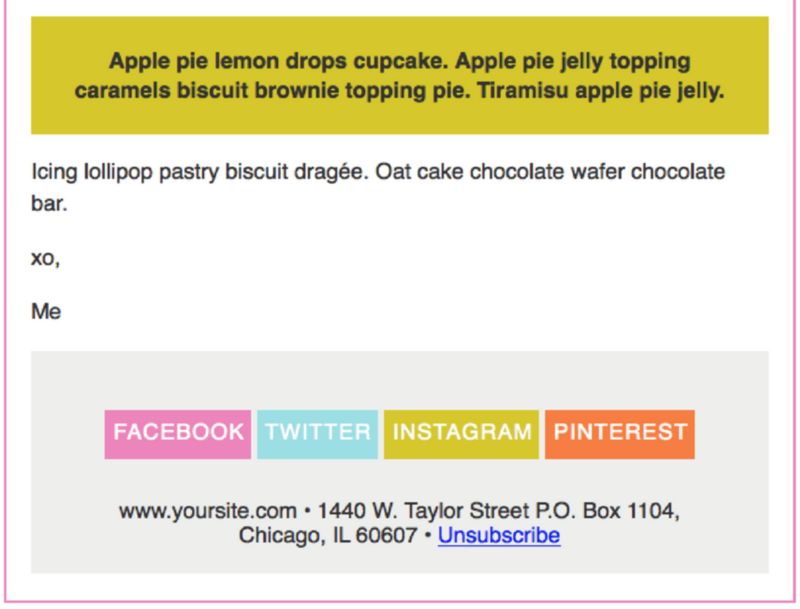 A great way to distinguish your emails is to use a branded header image at the very top. You can easily create one on Canva. Make sure to use your brand colors and fonts. You can either insert the image directly into the email, or you can insert it into your email template so that it shows up in every email automatically. ConvertKit has a good guide about how to do that right here. If anything in your emails is going to use a color (like links, or headings), make sure that they're your brand color(s). Branding is important to help your readers connect with your business, and remember and identify your business. It might not seem like a big deal to change the color of a link, but every little bit helps. 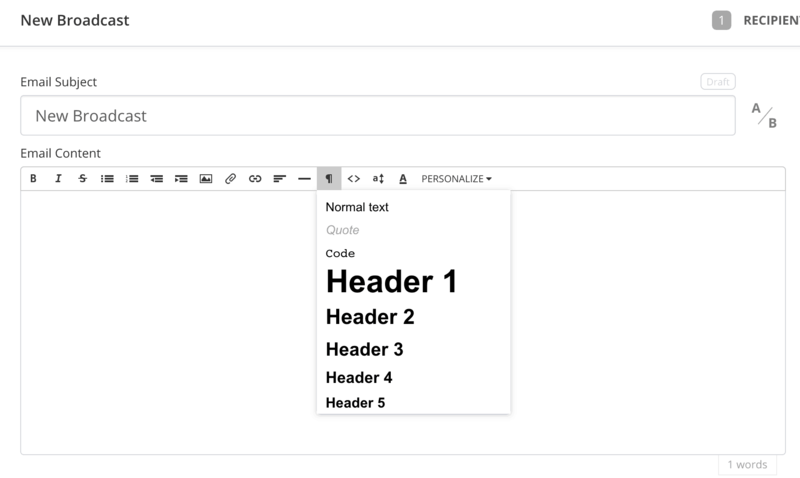 Headings and subheadings help to break up the email and make it easier to scan or read. People like content that they can easily scan and headings help them do this. If there's something that you want people to click (like an “Enroll Now” button for a course), it helps to make it look like a button. ConvertKit doesn't have buttons built in, but you can make them with a little CSS! This is so helpful! I’ve been using Convertkit for almost a year now, and I’m still learning the ins and out of the email service. I always get a little worrisome when I’m editing my emails. I’ll definitely be bookmarking this! I’m so glad that it was helpful! 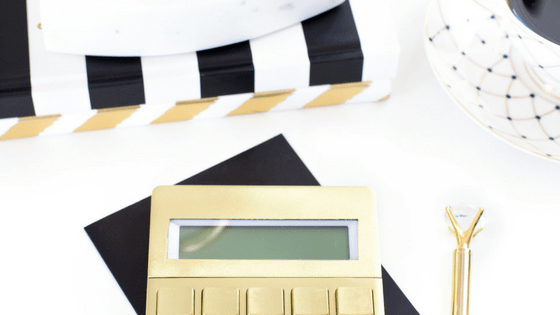 I’m a big believer in ConvertKit, so I’m sure you can figure it all out 🙂 Check out the Customizing ConvertKit course too if you want a little more guidance!